The pattern for this Elephant Amish Puzzle Ball is based on the original Crochet Amish Puzzle Ball and is part of my Amigurumi Amish Puzzle Animal series (Amamani for short). The puzzle consists of 3 segments (or rings) that have to be assembled to form the Elephant. Update July 2014: This pattern is no longer available as a stand-alone pattern. Instead you can find it in my book, ‘Amamani Puzzle Balls’. The book is available from Annie’s, Amazon.com and Amazon.co.uk. Annie’s also has a really cute video that demonstrates how the segments fit together to form the animals. You can see that HERE. Hi BJ. The circus elephant was a mix of a lot of other patterns (almost like a CAL) and I have not written a stand-alone pattern for it, but will think about doing so. The converter app…I suspect you have clicked on an ad. There is no need to download anything in order to view my patterns. 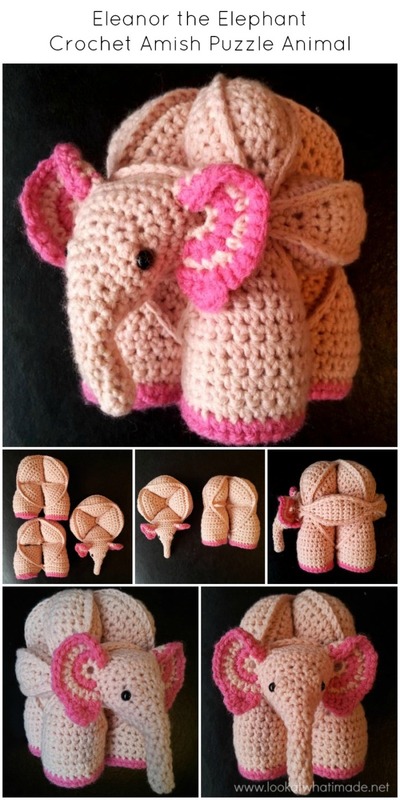 How to crochet crohet the elephant head and trunk.I have the book. Hi Rebecca. Go to p.28. The instructions for the elephant are there. The instructions for the head are on p.29. 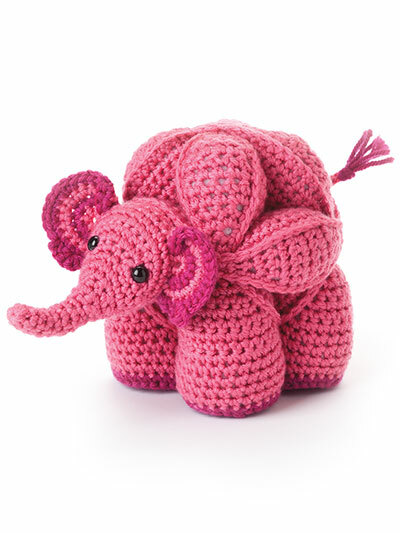 Hi there, was the offer for your lovely crochet elephant puzzle last year? It looks amazing. Am following you on Facebook so I can keep up with your patterns! i am so happy and surprised for your mail. i do not underestand english good. i am female and i like you. yes, i want pattern and picture of elephant.